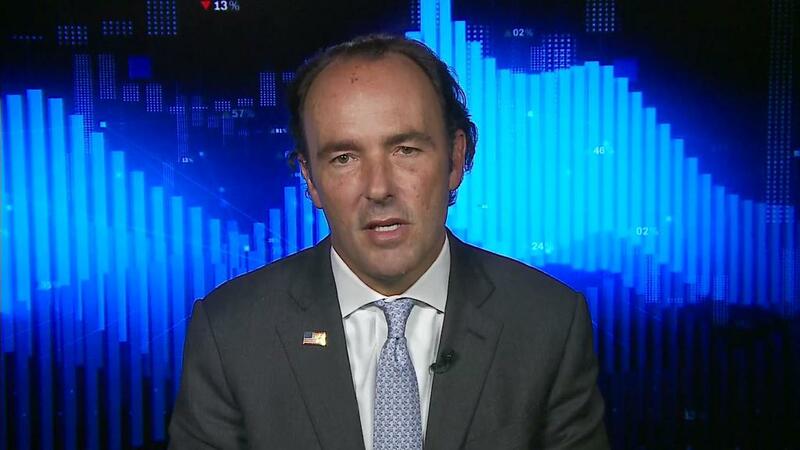 Hedge fund manager Kyle Bass thinks demand for oil is about to go up. "Crude is going to go from a glut to a shortage in the next two years," Bass, the founder and chief investment officer of Hayman Capital Management, told Richard Quest on CNNMoney's "Markets Now" on Wednesday. Bass thinks that investors are overestimating the impact that electric cars will have on demand for gas. "There's a view around the world that electric cars are going to really affect hydrocarbon demand in the near term," Bass said. But he thinks that electric cars won't "even dent" demand for traditional fuel until about 2030. Oil prices have indeed been rising in the United States. Brent crude, the global benchmark for oil, surged 3.5% earlier this month to $71.04 a barrel — the highest since late 2014. And according to US government estimates, the average price of oil will rise to $2.74 per gallon this summer, an increase of 14% compared to last summer. The rebound in oil prices can be attributed to OPEC's efforts to limit production globally and to a decision by the United States to start exporting its own supply. Saudi Arabia-led OPEC and Russia reached an agreement in late 2016 to pump less oil. OPEC and its allies agreed last November to extend the cuts through the end of 2018. The United States, on the other hand, has been exporting oil since lawmakers ended a 40-year ban on exports in late 2015. And US production of crude recently hit a record high because of the shale oil boom. Bass also spoke with Quest about tariffs and the Trump Administration's stance on trade with China. "There's been a trade war with China since 2001," he said. "The only side that's been fighting it, though, is China." "Markets Now" streams live from the New York Stock Exchange every Wednesday at 12:45 p.m. ET. You can watch the show at your desk or on your phone or tablet at CNNMoney.com/MarketsNow. Can't watch live? Interview highlights will be available online and through the Markets Now newsletter, delivered to your inbox every afternoon.